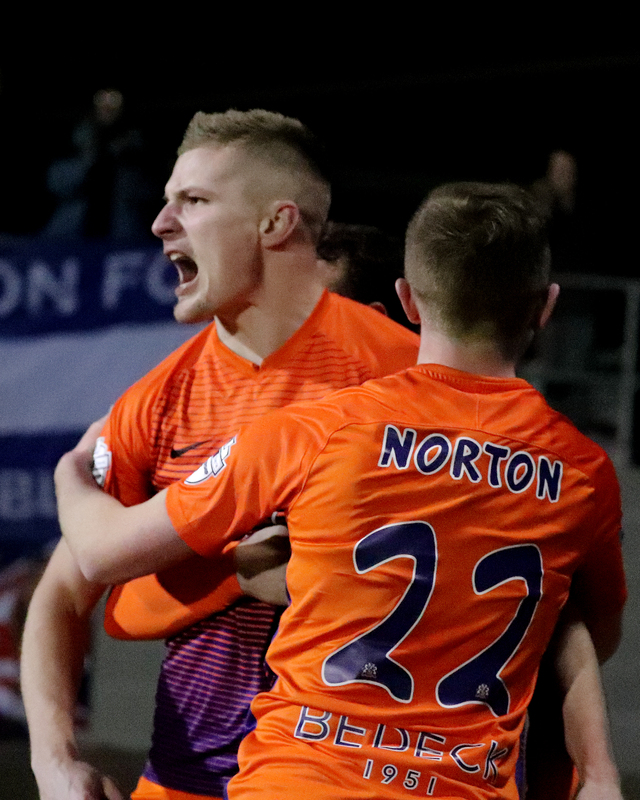 Two goals and two assists from Andrew Mitchell saw Glenavon come from a goal down against a determined Warrenpoint Town side. 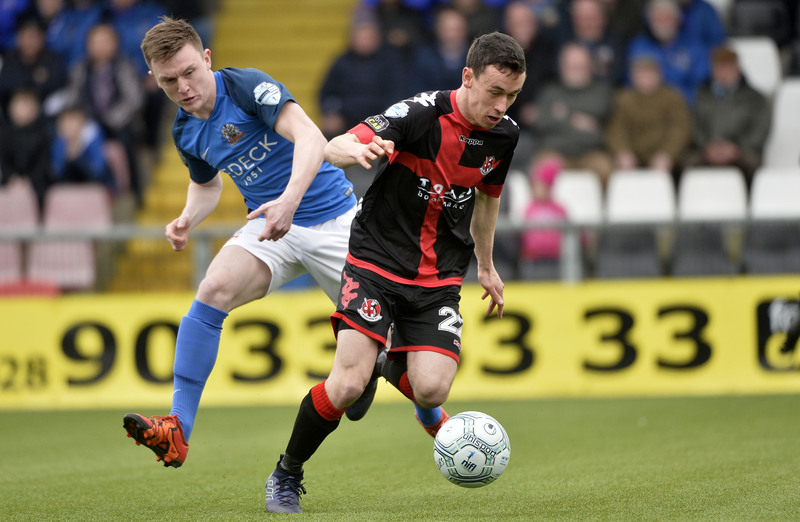 Alan O’Sullivan had given the hosts a lead somewhat against the run of play in the 11th minute when he fired home at the back post after Fra McCaffrey’s initial effort had been blocked. 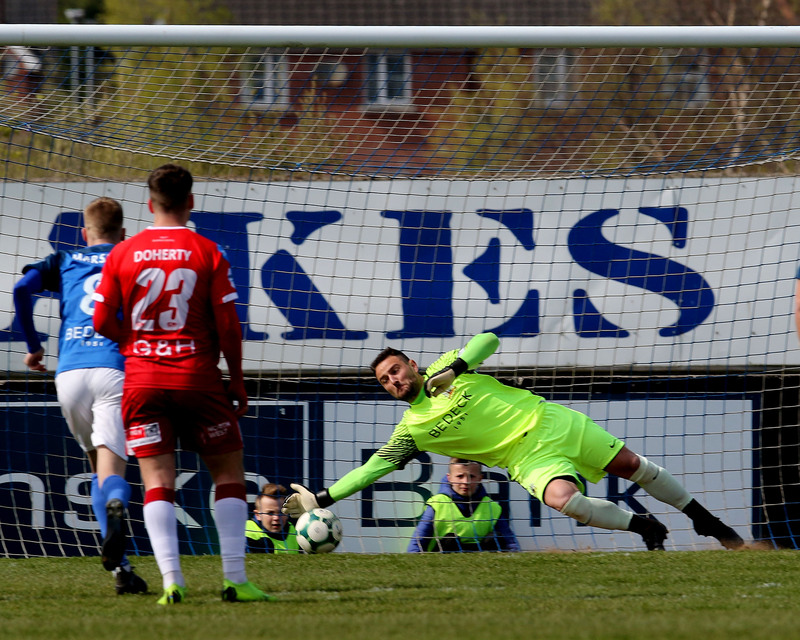 Before that Mitchell had fired straight into the arms of Jonny Parr from Niall Grace’s cross in teh 7th minute. Mark Sykes levelled in the 33rd minute, his first goal of the season, with a cracking finish past Parr after Mitchell had nodded down Jonny Tuffey’s kick out. 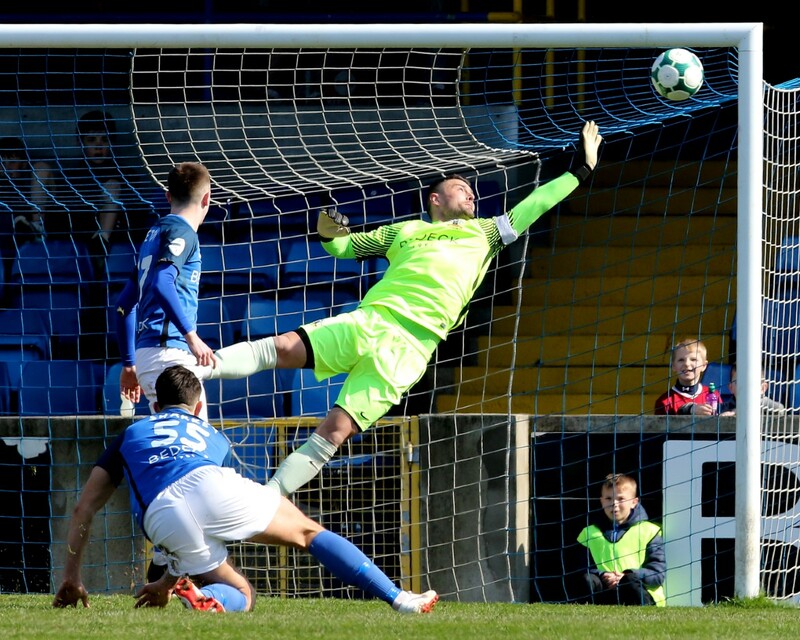 Two minutes later and Glenavon went in front. 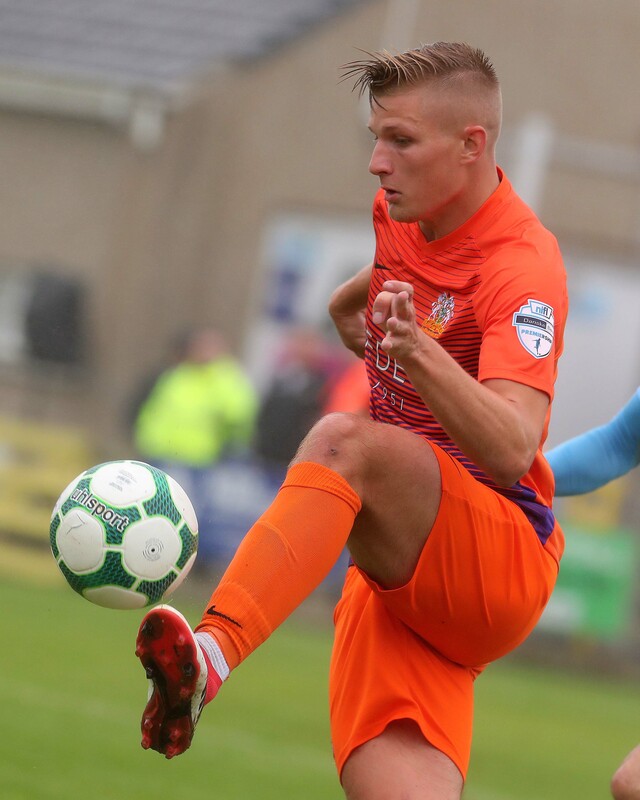 More good work by Mitchell saw him dispossess Stephen Moan out on the left touchline before sliding a ball across the goal mouth for Steo Donnelly to tap home for his first goal since joining Glenavon. It was 3-1 to the visitors in the final minute of the half when a slide rule pass from Andy Hall split the Town defence and Mitchell ran clear to smash beyond the keeper from the edge of the box. 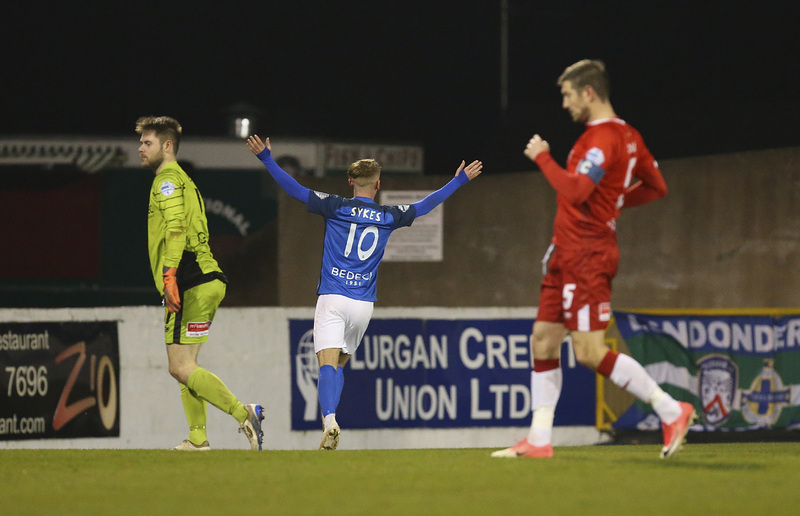 The hosts pulled a goal back in the 74th minute when Conall McGrandles headed in from a corner by fellow substitute Eamon Scanell. That should have put the hosts right back in the hunt but a bad error by Parr two minutes later when he missed a through ball from Josh Daniels left Mitchell with an open goal for his second of the game to leave the final score 4-2 to Glenavon. We’ll have our usual full report later.